● Made with waterproof SBR Diving material. ● The material passes the SGS of the European Union and the American FDA test. ● Multi-use front pocket offering easy access, the insulated zippered front pouch is the ideal place to stash snacks. 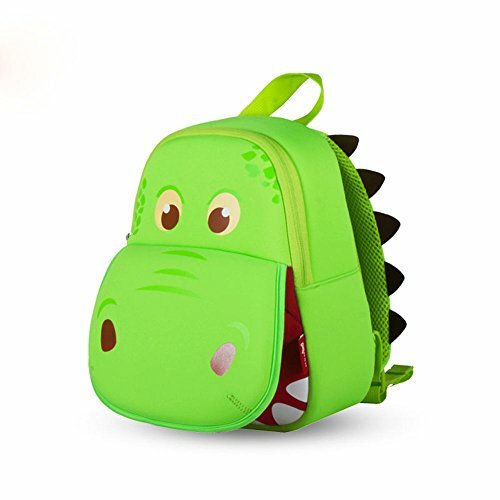 ● Easily holds all the supplies your preschooler might need for a busy day of "work" and play, and the mesh side pocket adjusts to fit a juice box, sippy cup or water bottle. Exterior: Locker Handle, Zip Pocket, Backpack Straps. ● Used For: School, Travel, Lunch, Hiking, Sport. ● Care and Cleaning: Spot Treat, Wipe Clean, Wipe Clean with a Damp Cloth, Wipe Clean with Soap and Water. ● Warranty Description: No applicable warranty. ● Battery: no battery used. At OFUN, we re-think, re-energize and re-engineer products to infuse joy. Endlessly curious, we're constantly questioning functionality, form, and design. As a global lifestyle brand, our core philosophy begins and ends with"Fun and Functional" - an unwavering passion for well-curated, smartly designed essentials for parents, babies, and toddlers. If you have any questions about this product by OFUN, contact us by completing and submitting the form below. If you are looking for a specif part number, please include it with your message.